If you have missing teeth, then you’re among the 75% of American adults who suffer tooth loss, usually due to advanced gum disease. 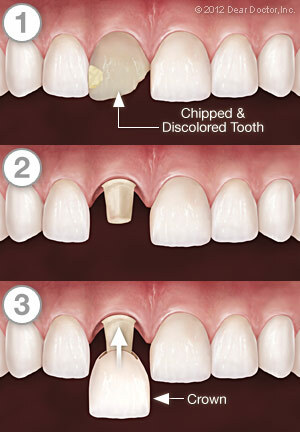 People also experience tooth loss due to injuries, extractions, infections, and cavities. Missing teeth create a whole host of dental problems. Slurring in speech, issues with eating certain types of foods, and affecting your confidence in your appearance. At Hill Davis Dental Group, Dr. Jimmy Hill, Dr. Camie Davis, and our friendly team can give you a whole new reason to smile … with a fixed dental bridge! A fixed bridge is a dental prosthesis used to replace missing teeth. It’s made up an acrylic base that matches your gums, and porcelain crowns that fit in with your dentition just right. At the Hill Davis Dental Group, we offer this option to our patients who want an affordable option for replacing missing teeth. At the Lubbock office of Hill Davis Dental Group, we can attach your fixed dental bridge by fitting neighboring teeth with crowns, or anchoring the device with a dental implant. Both methods have advantages, and when you come in for your dental bridge consultation, Dr. Davis or Dr. Hill can discuss your options. Any tips for taking care of my bridge? You can take care of your dental bridge as easily as you do your natural teeth. It’s important to maintain a daily oral hygiene routine that includes brushing, flossing, and rinsing. With proper care, your crown and bridge can last a lifetime. Repair your smile with a crown or bridge at our Lubbock, TX dental office. Schedule an appointment with Hills-Davis Dental Group by calling (806) 793-0651 today!